At most banks, a debit card is just a convenient piece of plastic. But for our Kasasa® account holders, a debit card is your golden ticket to qualify for rewards. Sign up for a free Kasasa® checking account, and use your card to qualify for rewards that matter to you, including nationwide ATM fee refunds. 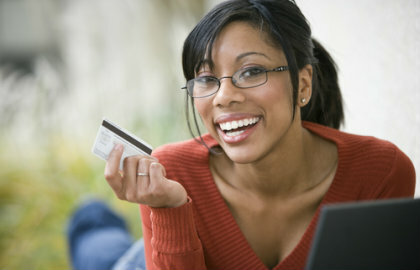 * It's all the convenience of a free MasterCard® debit card, with all the benefit of Westside State Bank. Receive alerts and monitor your available balance — automatically. Shazam Bolt$ is a free app that is attached to your card activity. Learn more about this valuable service or get started. Providing you with important information about your account with Westside State Bank is a high priority. We're writing to let you know that Mastercard® recently introduced the Automatic Billing Updater (ABU) service as a convenience for Mastercard cardholders. While this is a convenient service, Mastercard requires we participate and we'll begin submitting card updates to them as applicable when your debit card information changes. ABU extends the amount of time your account-on-file information is stored with your selected merchants by automatically updating your debit card information due to account changes, like the expiration date. For example, let's say you've enrolled in recurring monthly payments to pay your electric bill with your debit card. As you know, we periodically replace your card, and your new card has a fresh expiration date. Instead of contacting the electric company to update your card information, your card information will automatically be updated, if your electric company is a participating merchant. We'll begin sending your updated card information, as applicable, to Mastercard beginning late October 2017. Mastercard will securely store your debit card information and release the new information to financial institutions and participating merchants in order to process your requested transactions without interruption. If you'd prefer not to have your card information updated automatically, you can opt out. If you'd like to opt out, please contact us at your earliest convenience at Westside State Bank – phone #877-818-0257.